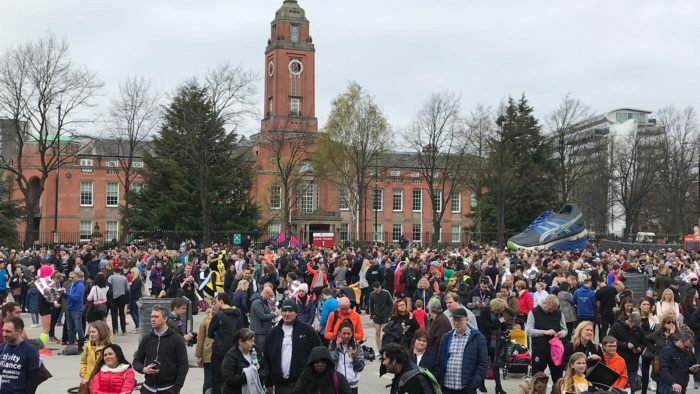 20,000 runners took part in the ASICS Greater Manchester Marathon on Sunday 7th April, marking a record number for the race. Among them were Andy Burnham, Mayor of Greater Manchester and a couple who got engaged on the finished line! 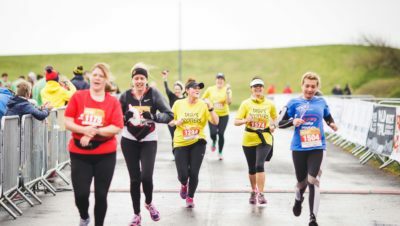 Now one of Europe’s largest marathons, the ASICS Greater Manchester Marathon has been growing year-on-year, attracting 6,700 more runners than last year, including a mixture of elite runners, wheelchair athletes and amateur runners aiming to tick it off their bucket list. An estimated 60,000 spectators turned out to support the runners. Different communities lined the route cheering runners on with banners of all kinds and offering sweets and drinks. Bands, singers and entertainers turned out in support too, giving runners passing a much-needed boost. Runners experienced something truly unique from the amazing Mancunian support. Andy Burnham ran 13 miles as part of a relay team to raise money for families affected by the Manchester Arena attack two years ago. 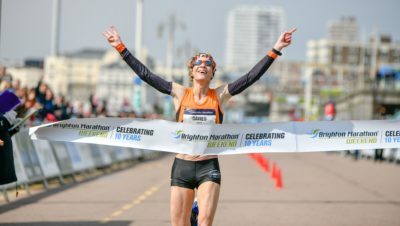 He completed the half-marathon distance just one week before going out to taking on the Boston Marathon to raise funds and awareness for the same cause. Runner Sean Truett proposed to his girlfriend of eight years, Lucie Goddard, at the finish line. The couple from Wepre, North Wales celebrated their engagement after receiving loud applause from spectators who were there to witness Sean popping the question. Aaron Richmond won the elite men’s race with a time of 02.21.34, a new personal best, with local Gareth Raven of Sale Harriers taking second place with a time of 02.26.07 and Jo Corbett of Chichester coming in third position at 02.26.13. Women’s elite favourite Jenny Spink of Bristol and West won with a time of 02.35.19, with Hungarian runner Fanni Gyurko coming in second at 02.39.51 and Johanna O’Regan of Riverside taking third place with a time of 02.42.15. Simon Lawson of Maryport, Cumbria won the elite men’s wheelchair race with a time of 01.31.51. Simon holds the British record for elite wheelchair racing and represented Great Britain at the 2016 Paralympic Games and the 2018 Commonwealth Games where he won a bronze medal in the marathon. Sean Frame of Red Star Athletics Club in Glasgow came in second place with a time of 01.44.25 and Matthew Clarke of Lincolnshire took third place with a time of 01.47.19. There weren’t any female wheelchair racers listed in the results. 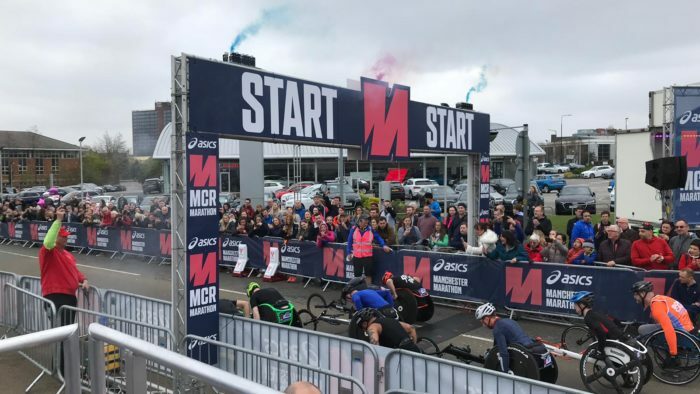 It’s been announced that the route for 2020 will change, with the race taking in more of the city centre and landmarks including Manchester Opera House, Salford Quays, St Johns Park, Albert Memorial Hall and Beetham Tower. This is expected to provide even more of an economic boost to the city. 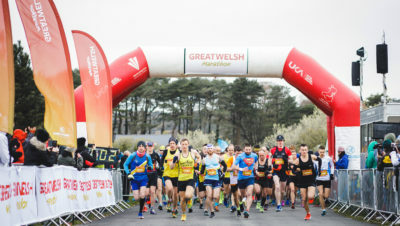 It’s estimated that this year’s race boosted the local economy by approximately £6.8 million, attracting thousands of visitors, 75 percent of whom were from outside the north-west of England. 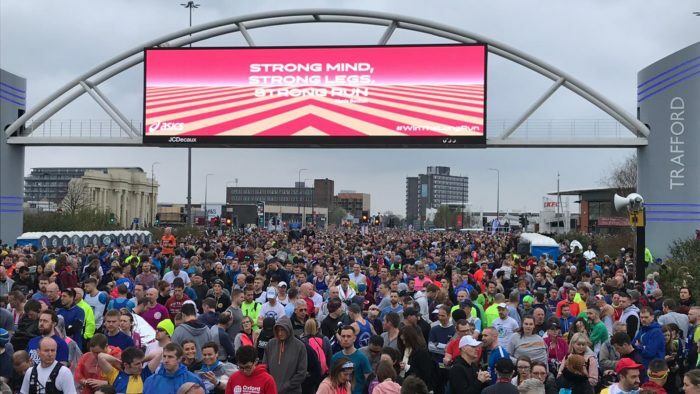 It’s estimated that £1.3million will have been raised for charity at this year’s marathon, with runners supporting official charity partners the Alzheimer’s Society and Cancer Research UK, in addition to a number of local Manchester charities. £1 from every entry also goes to the Trafford Active Fund with the purpose of developing sport in the local area. It’s not too late to donate. Go to www.manchestermarathon.co.uk for more information on the new route and to sign up for next year.